A few weeks ago, I criticised a report by Michael Weiss and Peter Pomerantsev which alleged that Russia was using information as a weapon of war against the West. The problem with Weiss’s and Pomerantsev’s report, I argued, was that they were guilty of the same thing themselves, through a series of distortions which made Russia seem far more threatening than it really is. Having just read Pomerantsev’s new book Nothing is True and Everything is Possible: The Surreal Heart of the New Russia, I find myself thinking the same thing again. Nothing is True is the author’s account of his time in Russia as a producer of reality TV shows. The book is as much about Pomerantsev as it is about Russia, and is shaped by his own profession. Russia, he seems to suggest, is like one of his TV programs, where the reality portrayed is never quite as real as it is made out to be. He moves through a world of surreal beings: the rap-loving, autocratic politician; the novel-writing gangster; the young model destroyed by a cult, all of whom exemplify the corruption that lies at the rotten heart of the largest country on Earth. How much of what he describes is peculiar to Russia is very much open to question. Take, for instance, Pomerantsev’s account of the life of Ruslana Korshunova, a model who committed suicide after falling into the clutches of the cult-like ‘psychological training’ organization The Rose of the World. As Pomerantsev admits, The Rose of the World based its techniques on those practised by similar organizations in the United States. All his account really does, therefore, is demonstrate that vulnerable Russians fall prey to charlatans in exactly the same way that Americans do. It doesn’t show that there is something particularly rotten about Russia. Rather, the story seems to demonstrate the opposite. What is most likely to attract readers to this book is its style. Pomerantsev’s prose is colourful and lively. Nothing is True is an entertaining read. But there is a reason why academics don’t write like this, and instead footnote everything so that they can justify what they are saying. That can make for very dull reading, but at least the reader can have some confidence in what is on the page. Here it often seems that the author sacrifices truth for style. He entertains through hyperbole and what sometimes appears to be invention. One becomes aware of this just seven lines into the first page. Describing Moscow’s economic boom at the start of the 21st century, Pomerantsev writes, ‘Never had so much money flowed into so small a place in so short a time.’ This is not a promising start. In the first place, Moscow isn’t exactly ‘small’; and second, lots of other places have experienced enormous booms. Where is Pomerantsev’s evidence for his statement? He doesn’t provide any. It is pure hyperbole. This isn’t an isolated example. This is just how Pomerantsev writes. ‘The only values in this new Ussuriysk were cars and cash’, he says (p. 27). The ‘only’ ones, for everybody in the entire city? Really? And how does he know? ‘Black Widows still make it up to Moscow with rhythmic regularity’, he writes (p. 57). Actually, they don’t – attacks by female Chechen terrorists in Moscow are pretty rare (the last was in 2011, and you can count the total on the fingers of one hand), and in any case there is nothing ‘rhythmic’ about their timing. In Moscow, ‘There isn’t a building that we walk past that wasn’t the scene of execution squads, betrayals, mass murders.’ (p. 110). Seriously? Mass murder in every building in Moscow?? And so on, and so forth. One might object that none of this matters – it is just decoration; the basic stories are true. This isn’t an academic treatise but a work of art, and not a photo-realist one moreover, but an impressionist one. Although it doesn’t show you reality, through its distortions it reveals the truth beneath in a way that only art can do. Well, maybe. However, Pomerantsev never tells us that that is what he is doing. For over 200 pages, he seeks to persuade us that nothing in Russia is quite what it seems. But his book isn’t quite what it seems either. Regarding the so-called “Black Widows”: one of the reasons why more don’t manage to commit more terrorist attacks on Moscow and other Russian cities is because the FSB, the dreaded “KGB successor” (people like Pomerantsev always, always have to point this out in practically every sentence), actually does a pretty good job of stopping terrorism. Thanks for this great post! There is indeed something highly irritating about Pomerantsev’s basic premise: he attempts to show (in a series of articles and the book, etc.) that cynicism and/or manipulation of information by government and/or distortions of reality in popular culture are all somehow uniquely bad, or even just unique to, Russia. But this kind of claim desperately calls out for some kind of comparative analysis. You can’t just string together a series of vignettes and cobble together some crazy stories about a particular place, and then say: look, this place is just awful … “there is no Truth in Russia”! Even assuming the vignettes and stories and, to the extent he relies on any, statistics actually support his core “thesis”, the exclusive focus on Russia invalidates much of the enterprise. For, to be able to make his claim, he also must ask and explore: what is the state of “cynical non-truth-ism” [or whatever you want to call it] in, say, Britain or Bangladesh or the EU or USA? How could one possibly attempt the sort of assessment Pomerantsev proposes without systematically putting Russia side by next with at least one other prominent case? In the end, what you say in your post is absolutely right. 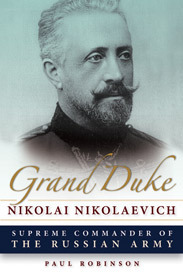 Indeed, his work is itself an instance of the disease he purports to diagnose with respect to Russia, i.e., it is an instance of propaganda that works by supposedly exposing propaganda – hence, a kind of meta-propaganda … all of which no doubt fits well into the general “po-mo-ish” frame of thought the author is prone to. The title of Pomerantsev’s book sounds like a Beatles song and from what Paul says about it, the book is nothing to get hung about. Pomerantsev is a son of a Russian dissident, I suppose he wants to mimic his father and become a critic of Russia too. As you have rightly pointed out – all the accusations being levelled at Russia of “weaponising information” and engaging in propaganda are applicable to any major power. What Pomerantsev, Weiss, Applebaum, Lucas et al are really whinging about is that the West no longer has a monopoly on the narrative. Unlike in the First Gulf War, Kosovo War and Iraq War, when Western media dominated, this is no longer the case. Moreover, Western media figuratively and literally were “embedded” with the military back then; there is now another alternative source of information and perspectives. Russia’s RT, China’s CCTV, Iran’s Press TV, alternative media and internet all challenge the official Western prevailing narrative on the major issues of the day. Applebaum wanted to remove anonymity from the internet and demand everyone identify themselves – if they want to comment on an article, because she was so incensed that people were saying things she did not approve of. Pomerantsev is in favour of an international media “code of conduct”, and international media “rating agency” of some sort that will categorise what is legitimate media and what is not. Obviously Western media would fall into the category of legitimate respectable media, whereas RT, Press TV, CCTV, etc would be branded as illegitimate media and subsequently ostracised by the civilised world. What I find interesting is that exactly the same description as that by Pomerantsev for his Russian ‘experience’ can be made for the ‘reality’ in e.g. EU countries, certainly for the UK. The reality as described and portrayed in the national media is so much divorced from that experienced by normal people that the disconnect has become glaringly obvious to more and more people. Only – nobody in the MSM or in Westminster dares talk about it. Here’s a footnote about footnotes: the author of an exceedingly excellent biography – on the 1st Duke of Wellington – has put all his research notes, which were too copious to go into the usual footnote apparatus, into an online website. This surely must be the way to go! Personally, I highly recommend this approach. I understand the idea of putting footnotes on the website, Most people don`t want to look at them, and it saves a lot of space. But, as an academic, I find it annoying. While most of the time I don’t want to look at footnotes, when I do I want them to be there, not to have to go to my computer to find them.